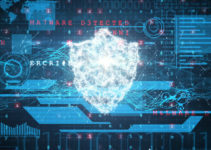 Keep sensitive information on your iOS device safe from cyber criminals by following these tips and security measures. 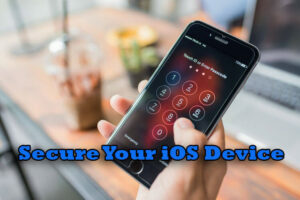 It may not be the very top priority in your life, but it is very important to know how to keep your iOS device secure. Your smartphone or tablet is your personal storehouse of photographs, messages, contacts and troves of sensitive and private information. It’s something that cyber criminals are always eyeing. Don’t become an unwary victim to such hackers. There are many basic security elements that you can incorporate for your device without much time or effort. So why leave yourself at a risk? 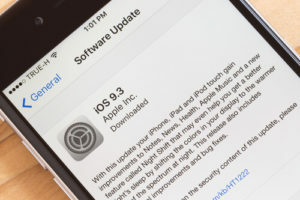 Here are the best ways to keep the information on your iOS device secure. iOS devices allow you to select your authentication method. Don’t opt for the usual password on the iOS device. Use the biometric sensors on the screen, as they can recognize your fingerprints. Only you will be able to unlock the phone. If you do need an access code as well, make it long and complicated so that it’s difficult for cyber criminals to guess what it is. Tap on Touch ID and Passcode. Use a strong password and enter it twice. You could be asked to enter your Apple ID too. Move to Touch ID and Passcode. Place the finger on Home button until the device has successfully read your fingerprint. If your iOS device gets stolen, anyone can access your widgets just by swiping left on your device’s lock screen, so any materials present in your widgets are at risk. Toggle the Today View to Off. Lock the device and try swiping to the left. You will not be able to view the widget content. It’s important to disable this feature unless you really need to share your location with someone. Go to Settings in the iOS device. Move to Share My Location. Toggle the Share My Location to Off. If you set up the auto lock time on your iOS device with a long time interval, there’s a higher risk for someone to be able to access your information before your phone gets locked. You can opt for five minutes or you can opt for Never. But the Never option is not advisable. Though it is more convenient, as you don’t have to keep entering your passcode, it is not recommended. So, it’s better to be safe than sorry. Move to Display and Brightness. Next, move to Auto Lock. Select a lower value, like one minute. Use a safe browser and a safe network. Try to avoid public networks. If you absolutely have to use them, be sure you’re browsing with a VPN service on. When downloading apps on your device, you should be sure you’re only installing them from trusted sources. Check out the permissions that the app asks for. If the permissions seem strange, do not allow it. It is important to update the Operating System in your device. Every time Apple offers an update or you receive a notification, this is the perfect time to do so. This is one of the most basic of safety measures that you need to follow. An updated system will reduce the risk of vulnerabilities that have been detected. The update for your iOS device could offer a fix for these risks and protect your phone from them. Activate this feature in iCloud. It will allow you to trace your phone in case of theft. The feature lets owners track down their devices online or using another device. Go to Settings and tap on the iCloud icon. Tap on Account. Sign in. Click on the Find My iPhone tab on your iOS device. Tap it to green or ON. Tap on Send Last Location (it will send the last location of the device before the battery died). It’s always a good idea to be cautious regarding the accessibility of sensitive information on your iOS device. You can always fall prey to some security breach or hack. So it is better to take the above precautions for safety purposes.